A new favorite mail order nursery is Plant Delights, located in Raleigh North Carolina. On our last two trips to Georgia , we have not stopped because we thought it was too far from the Interstate. But my friendly conversation with Diane, informs me that it is too close not to stop on our next trip South! I just received a delivery yesterday, and the plant material was in spectacular condition. I am making a mental note to be less afraid of Summer shipping of plants. These arrived as if they were carried here from next door! My friend at http://www.lettherebegarden.com asked me what I ordered and they might not look like much now so I have included a photo from Plant Delights to show the mature plant. It will take some time before I see the orange fairy wings. Something to look forward to next year after another long Winter in the Northeast. Its not too soon to think about what you wanted in the garden in April and May but maybe lacked! 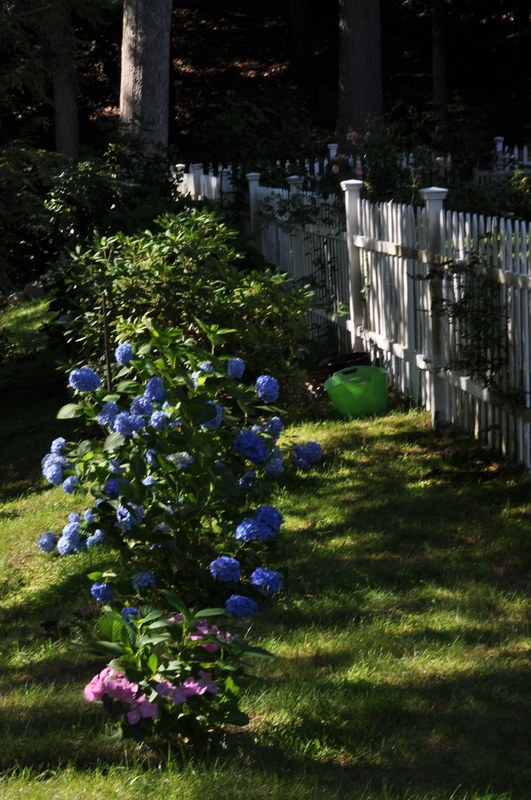 I love bringing all of these photos to the computer but it is still a very beautiful day, and dear husband awaits in a rocking chair on the deck with a glass of chilled white wine for himself and for me, so I leave you as the sun beams begin to slant and I try to catch the last hours of this Summer day! 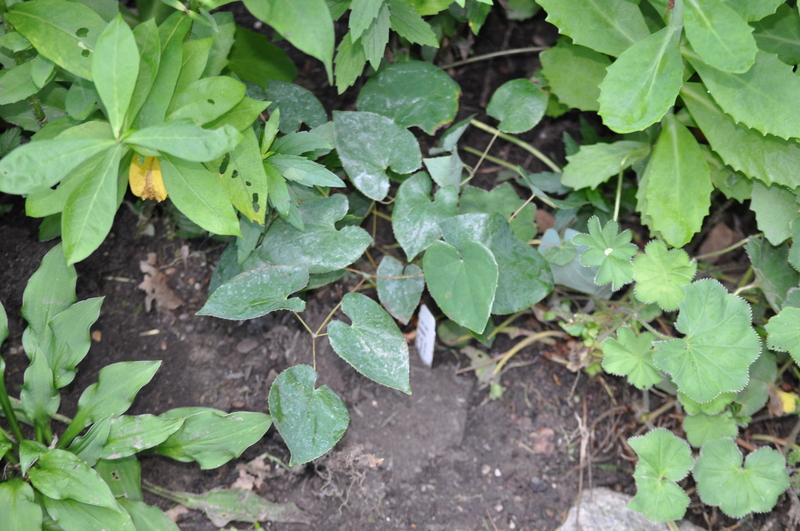 This entry was posted in Uncategorized and tagged Lespedeza . 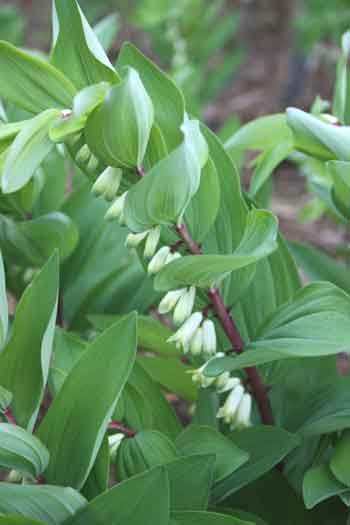 Polygonatum odaratum var. pluriflorum 'Jinguji', Plants Delight Nursery, Tricyrtis hirta 'Lightning Strike'. Bookmark the permalink. 5 Responses to Plant Delights does delight! It all looks very beautiful. Unfortunately, in England, not all nursery’s who ship out plants, are as good as yours. Well done. 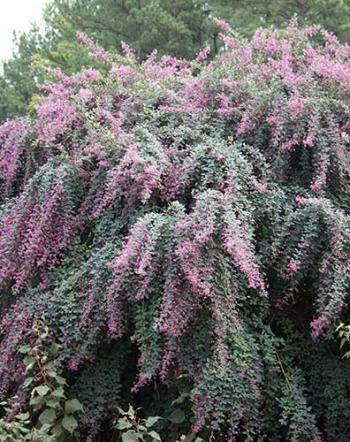 That lespedeza looks right up our alley! We’ve planted a stand of a new ornamental grasses (get to 10′ reputedly) from High Country Gardens as screening and that would be fabulous staggered in front of it. Food in the fall for the migrating hummers mayhaps? Can it do full sun? 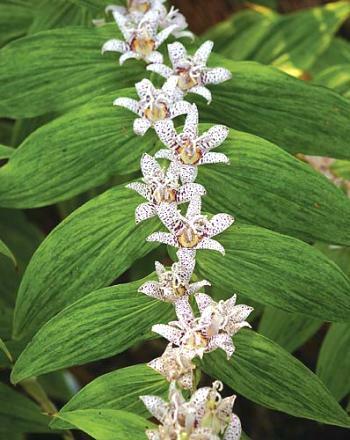 And the toad lilies!!! Can they do profound shade? 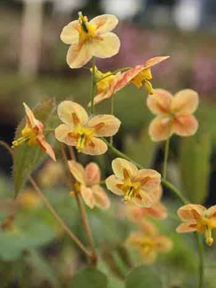 Interplanted with our leap-of-faith plant — Chinese Fairy Bells, whose leaves, BTW, look quite similar to your epimediums. I’m going immediately to the website to check this stuff out. Thanks! I love the rarity one finds at PDN, however I don’t want to be a buzz kill here but I spent $67 for 4 very small plants. One of which I received an email needed more time to root. But I’ll continue to be amazed by the catalog but I won’t go back again. Finding extraordinary plants in good health at a good cost has been my yearly project for over 30 years, so when I find a good mail order, I am thrilled! SUffice it to say, I have had many disappointments, just as you mention in your reply! One of my points in the post, is that I will now put in orders later (risking the SOLD OUT of course) in the SUmmer, as I found the material to be fresh and in great condition. 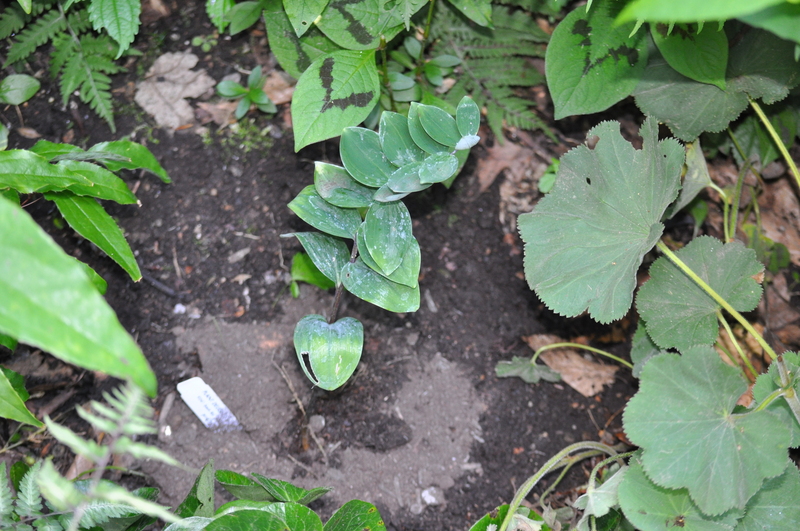 A later SUmmer delivery would eliminate an immature plant, or hopefully so, as you pointed out was one of your beefs. I was always afraid in the past that the plants would suffer in the UPS or FED EX truck and arrive half dead. The packing of plants is so superior these days and the trucks must have a/c because I was very happy with these plants – thus the posting! Plant DElights is also very good when asked to replace – I find most nurseries that are in the mail order business are very responsive to polite complaints, but Plant Delights bends over backward. ! There is a very good article on the owners written by Dan Hinckley in this month’s Horticulture (a magazine which has waxed and waned over the years in terms of excellency – good for another post!) Thank you for reading my blog!! Plant Delights used to have a booth at Garden Fair which was a terrific fall plant market that Winterthur (Wilmington, Delaware) hosted for a few Septembers. Their plants were always a delight – unusual, healthy, priced right and no shipping charges! Unfortunately, after the first year of Garden Fair, which was very successful, the attendance tapered off because of too many competing events in the area that weekend. Eventually it was discontinued. Good for my purse, but bad for my plant-loving soul!